More than 100 persons benefited from the medical outreach organized to mark the birthday of Mrs Kafayat Oyetola, the wife of the Osun state Governor, Gboyega Oyetola. 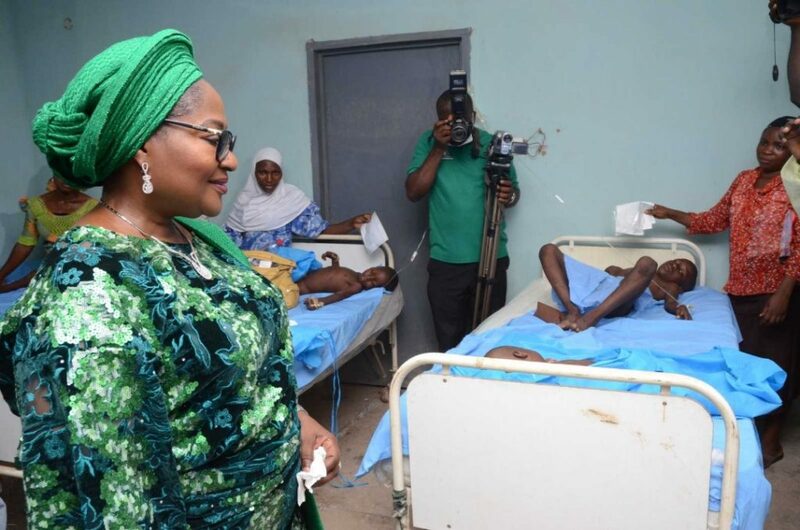 The medical outreach which took place at Comprehensive Health Centre Iragbiji, Boripe Local Government area was organized by the first lady who is also the President, Ilerioluwa Development Initiative IOD-Initiative. Development Initiative IOD-Initiative is a Non Governmental Organization founded to cater for social , economic and medical needs, of the citizenry in Osun state, Nigeria and the world at large. 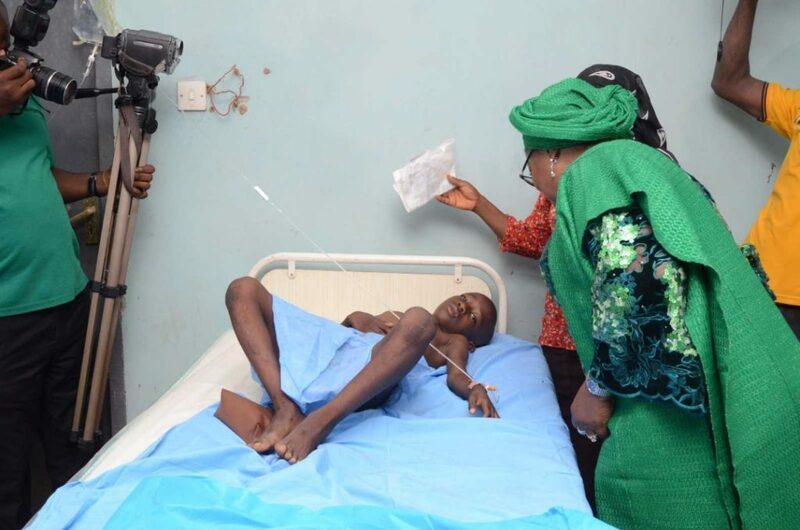 Mrs Oyetola celebrated a new age by offering sponsorship to the surgical needs of the people who are suffering from one surgical condition or the other, including Hernias, Hydroceles , Lipmas, Lumps and Abnormal skin growth among others. Speaking, Mrs Oyetola said she was celebrating her birthday by giving back to the society through a medical outreach. Mrs Oyetola who said she has been engaging in humanitarian works ever since the emergence of her husband as the Governor of the state said her resolve to use medical outreach to mark her birthday was because of it significance to human existence. She thanked the President and members of the Hope Float Initiative and all other medical personnel who have volunteered to be part of the program. Mrs Oyetola who said that the programme was in line with the social protection mission of IOD-Initiative further explained that the NGO is committed to the provision of health, promising that no citizen would be left out . According to her, ” We are determined to follow this doggedly especially for the benefit of our women and children. We consider health as a major social protection factor that would enhance better living standard for everyone in this state. It is when we are in good health that we can generate great economy for our state”. He said the gesture would no doubt alleviate problems of the beneficiaries ,praying God to continue to provide for the first lady in all her endeavors.